Calgary is a beautiful city that boosts of greenery; lovely homes with breathtaking landscapes. 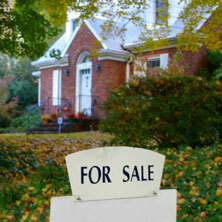 There are many companies to serve homeowners who love their lawns. Easily available but don’t know if they are negotiable when it comes to prices. Here is what you need to know about cost of lawncare services in Calgary! What Makes up Good Lawncare? Keep a healthy lawn through mowing and raking but it is not enough. You need at the proper time of the year at the right levels to create a healthy lawn with deeply rooted grasses. Fleas and ticks including weeds that exacerbate allergies are easily controlled by the application of herbicides and pesticides. Take care that your yard are free of disease-carrying bugs that gives lots of nuisance. Your grass will be greener and hardy year round by using nutrient/fertilizer. 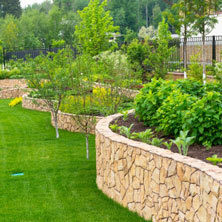 Lawn maintenance is not only effective, but safe with organic fertilizers options. They are on the cutting edge of research into environmentally friendly lawn care products. Offers multiple applications of fertilizers at least four to six weeks to make sure your lawn is the best. Use the proper fertilizer within the type of local soil, condition of the weather and type of grass. Through customized service, you have the lush lawn you’ll love. The professional team of lawn experts in Calgary focused their attention exclusively on the following area: fertilization, lawn care maintenance and weed control. They also look after all tasks involved in a year-round lawn care; like snow removal service every time it snows, or just need occasional help; temporary mowing service as your mower broke down or maintenance for the entire summer; or Spring Clean Up or Fall Clean Up. Always be prepared when winter comes. Mowing is about $270. Although mowing can be done DIY but the task is so cumbersome that it is worthwhile paying for the job. Fertilizing costs about $350. 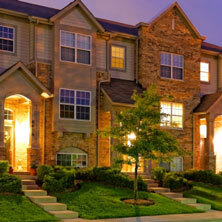 By fertilizing your lawn, the stability of the soil ensured plus a healthy plant. The proper type of fertilizer in your lawn helps ward off diseases and other damages. Watering – In lawn maintenance, watering is the most important service for it compensates for lack of rainfall or dry conditions. Sprinklers can be installed to minimize work on hand watering. Aerating is about $450. It allows air, water and nutrients to penetrate easily into the grassroots. This task should be done after winter so it facilitates growth of new plants. Dethatching involves breaking layers of soil to facilitate movement of nutrients. Aside from being cheaper alternative from aerating, it provides the same result. Overseeding is quite expensive at around $1,200. However, it keeps grasses to grow continuously when the older patches withered and die out. The cost increases with the number of square foot to be served so look at your budget and determine the most important to be done first. Lawncare prices in Calgary vary if you want the service by the hour, week or month. Price ranges are variable; from $100 to $200 monthly so to find a good price, get few estimates first. Fees for gardener also vary by the number of hours, weeks or months. It can cost anywhere from $50 to $100, and depends whether you hire an individual or a professional company. If it is for flat fee, it can be per project or for ongoing care. Lawncare and maintenance are not cheap but the result is invaluable. Of course, beauty has its own reason for being expensive!